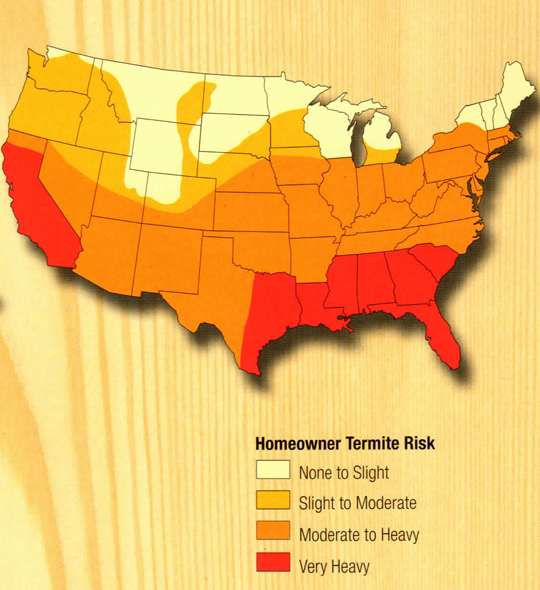 Bug-Off Exterminators, Inc., has the professionals to call for termite control. Though there are ways that one can mount a DIY pest control project, these can backfire and even create a health hazard. We have the experience and the knowledge of each termite type that you need to determine the extent of your termite infestation. With us applying a liquid termiticide on your property, you won't have to worry about a thing. Without the right intervention at the right time, termites, especially subterranean termites, can spread throughout a property, hollowing out wood structures as they go. Since they're hardly seen out in the open, you might even have trouble determining if termites are present to begin with. We're here, though, to provide thorough inspections and treatment. We serve Smyrna and other cities in Georgia, notably the Atlanta area, and we've been exterminating pests for clients since 1986. Ours is a locally owned and operated company that knows all too well what kind of pests are attracted to our warm, humid climate. Our technicians and inspectors are licensed by the Georgia Department of Agriculture and undergo continual training in pest control methods and technology. We're able to use foam machines, masonry drills with carbide drill bits, large-capacity tanks, and everything else that's required in liquid abatement. You can have us come over to your home or business because we've worked on many different properties. We understand the unique needs of restaurants, hotels, apartments, schools, and warehouses. 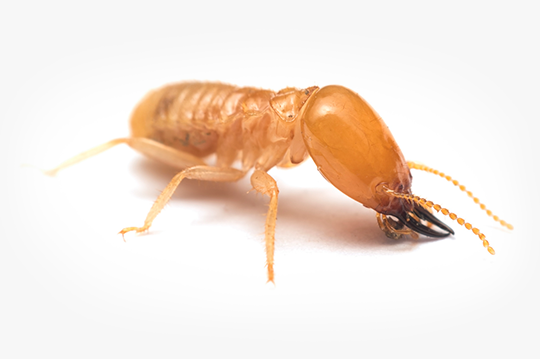 You can call over one of our inspectors to check all the most termite-prone areas in your property, such as the crawl space or basement, for signs of termite infestation. Subterranean termites build nests underground and tunnel through the moist soil above them to reach their food source. This leaves behind mud tubes, which are the surest sign of termites. We'll also search for termite droppings and for wings shed by the alates in the swarm. When we're finished, we'll provide a graph drawing of your property detailing the areas that need to be treated and give an estimate for the cost. After you approve the estimate, a team of two to four technicians will dig a trench around your property, drill through the slab foundation, and, using sub-slab injectors, spray our liquid termiticide. The termiticides we use are from Termidor®, a top brand, and their Termidor® 80 WG is arguably one of their best products. This treatment will repel or kill termites under the soil. We'll make sure to evenly apply the liquid, as termites can easily get through a sliver of soil that hasn't been treated. We guarantee that your property will be protected, and to back this up, we'll return once a year for an inspection. You can think of it as our insurance policy, in a way. Our liquid termite control is ideal for any type of property as well as for pre- and post-construction projects. Give us a call at Bug-Off Exterminators, Inc., and we'll promptly travel to your place to inspect it. At the center of every termite colony, lives at least one king and queen. The queen may live for up to 30 years, with her sole function being to reproduce. Eggs laid by queens hatch into nymphs. Every year, queens can lay thousands of eggs. Termites diverge into different castes of workers, soldiers, reproductives, and supplementary reproductives while in the nymph state. Workers are blind and wingless termites who build, repair, forage for food and care for other termites. As the largest caste, they often infest wood. The function of soldiers is to defend the colony. They are blind, sterile and wingless. Winged reproductives leave the colony as swarmers. After swarming, these termites shed their wings and mate, so each male-female pair can build a new colony. Established colonies rely on these termites to increase the population of existing ones. If the queen or king dies, supplementary reproductives serve as replacements.